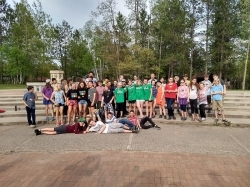 This week die Kinder from the Twin Cities German Immersion School came up to Waldsee for a BioHaus week, focusing on STEM (Science, Technology, Engineering, Math) concepts, a trip that is built into their science curriculum at school! 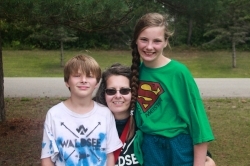 Liseli, Alice, and Jakob have been coming to Waldsee for eight years now - first in the Familienprogramm (family program) and now as our Krankenschwester (nurse) and campers. Their love of language opened their world of play up monumentally. Hear their story in this blog post! Erich's first year at Waldsee in 2000. 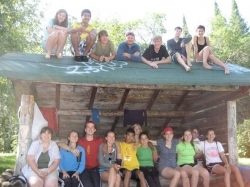 ​Waldsee’s former villagers go on to do exciting things with their Deutsch. Erich, a 6-year villager, tells us how Waldsee has helped his career in STEM.